We’ve had so much fun in past years meeting local Pygmy owners and just sharing in the enthusiasm for a new season that we are returning yet again to the “largest paddle sports event in the world”. 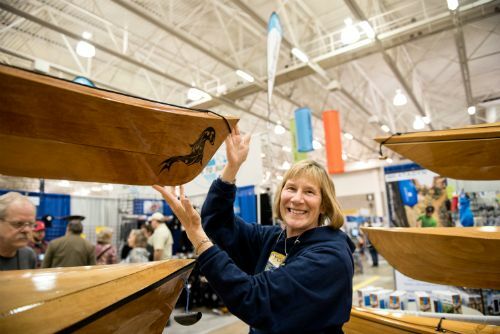 Every year attendees are impressed when they realize that the boats in our display were made by builders and paddlers in the area. 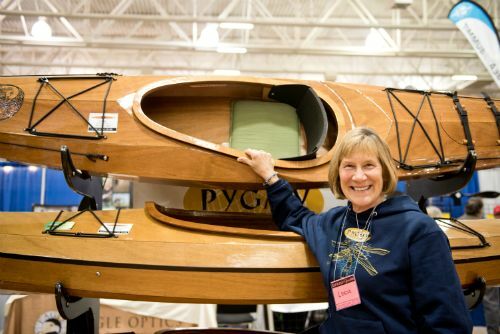 We’ve loved meeting a paddler one year and then displaying their freshly finished kayak the following year (see Linda and her lovely Selkie above)! Each year we build on the previous year’s memory and notice a larger and larger crowd of Pygmies hovering around the booth. 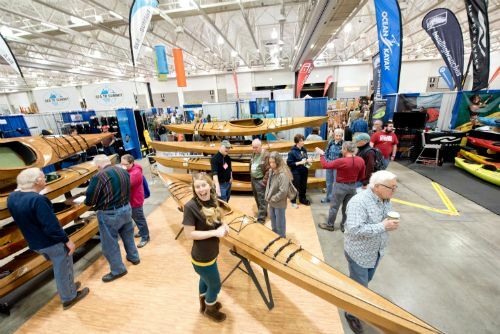 In short, it’s a fun rendezvous for paddlers and builders alike. 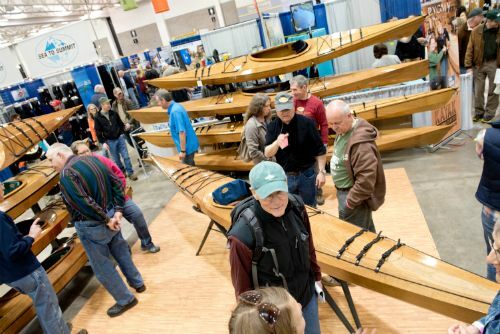 If you go, be sure to stop by the Pygmy booth (P15), say hello and meet other builders and paddlers in the area. 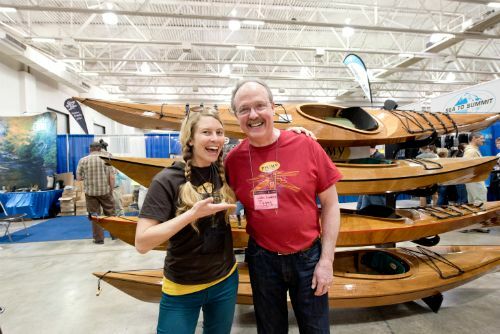 If you haven’t been, Canoecopia is a fantastic event with lots of wonderful presenters and a giant room full of paddling enthusiasts and gear. Ages 17 and under are free.